My Last post was about Demystifying "Functional Training" . Once again, to summarize, Training done to get better at a specific Life function is precisely what Functional Training is. One of the most used Life Function today is Walking & Running. The Sehelanthropus (Extint Species ,of course), is the oldest known evidence backed specie known for Walking, over 7 Million Years Ago. Since then, there have been numerous adaptations in the Human Body to make it stronger to support Walking in the most efficient manner. Curve in Spine, Stronger Knees, Hip Support etc. are all a part of these Adaptations. 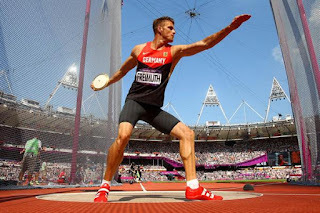 So this is a post about How we can further better our Gait, Speed, Agility & Strength in this Most widely used Life Function i.e. Walking/Running , using Basic Agility Drills & a Functional Training Tool that enables you to put just the right amount of Stress on the Muscles in the Legs, to make them Stronger without altering the natural Gait & without putting undue pressure on the joints, thus resulting in a Safe and efficient workout. 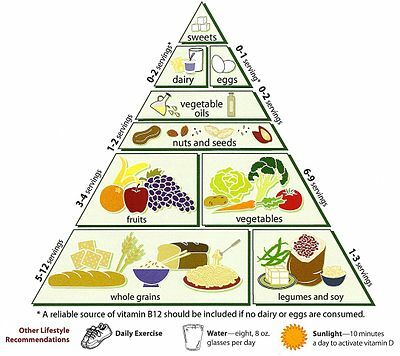 and producing increased muscle strength. The weighted Insoles can be a part of your Training or everyday Walking/Running. 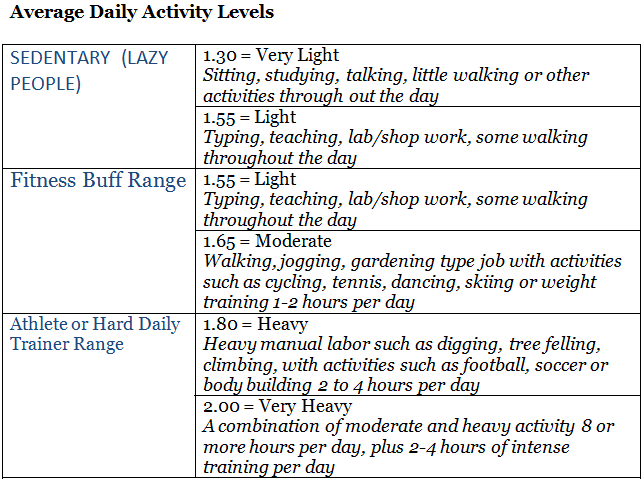 In this case ,we call it Lifestyle Strength Training .. since It is as " Functional " as Training can get. Simply put..You Train to Improve Performance with Every Stride with significantly reduced risk of Injury & Stress . Can be worn during any sport’s practice or training activity without altering any movements or stride length. All these exercises must be done after a thorough warm up of at-least 10-15 minutes of walking/jogging . Shuttle Runs : The shuttle run is often used to measure the kind of endurance you need for stop-and-go sports such as football, hockey, basketball, tennis etc. . While it is a great way to track your progress, you can add shuttle runs into your training routine once a week and get a major interval training workout. Most of us did shuttle runs during Sports Day events in School. Set up markers (such as cones) 20 metres apart. Make sure you are warmed up, or add this drill to the end of an easy jog.Sprint from one marker to the other and back. That's one repetition. Do 6 repetitions as fast as you can . Time your result for the entire 6 repetitions. Then Rest 5 minutes. 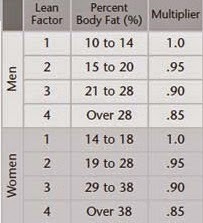 Repeat .Add the times for each run together and divide by two to find the average time. Record this time. 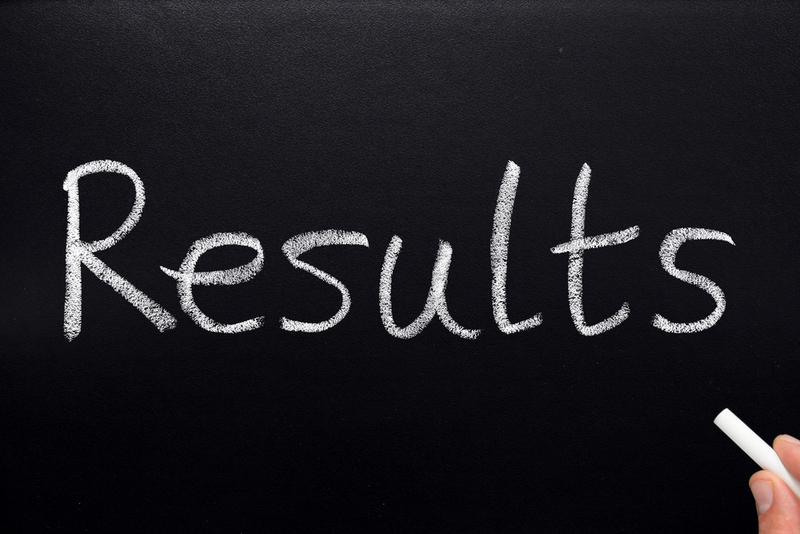 You can use this test monthly to track your progress over time. 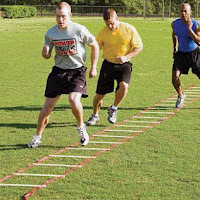 Forward Running, High­Knee Drill with/without Ladder : This drill is great for improving foot speed and coordination for all field sport athletes. Run with high knees forward through the ladder, touching every ladder space. Land on the balls of the feet and drive forward with your arms. Lateral Running, Side­to­Side Drill with/without Ladder: The lateral movement of this drill is great for court­ sports and improves knee and ankle stability as well. Keep a low center of gravity and step side ­to­ side through the ladder one foot at a time. Touch in each rung of the ladder with both feet. Land on the balls of the feet and repeat right to left and left to right. Forward & Backward Sprints : Set up two markers about 10 metres apart. After a good warm up, sprint forward from the first cone to the far cone.Stop at the far cone and run or jog backwards to the start.Stop and quickly accelerate in a sprint back to the far cone. Repeat for ten repetitions. 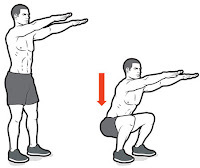 Tuck Jumps: Stand with feet shoulder width and knees slightly bent. 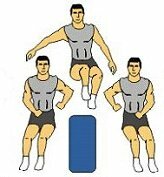 Bend your knees and powerfully jump straight up bringing your knees toward your chest while in midair. 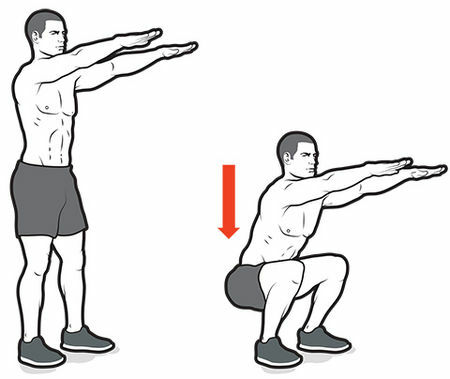 Grasp your knees quickly with your arms and let go,Upon landing immediately repeat the next jump. Stair Running: While not technically an agility drill, running stairs is a great way to develop quickness and foot speed while getting an excellent interval workout. Running stairs provides a cardiovascular benefit similar to that of running and is a great way to build sprint power. Many athletes train at a stadium of a local outdoor stair way with about a hundred steps. All these Agility Drills can be used to get Better at one of the most Primal and most used Movement by the Human Body.. Let's Get Stronger and Better at it ! To understand what Functional Training is, let's break the word.. It's really simple and self explanatory. Training done to get better at a specific Life function is precisely what Functional Training is. 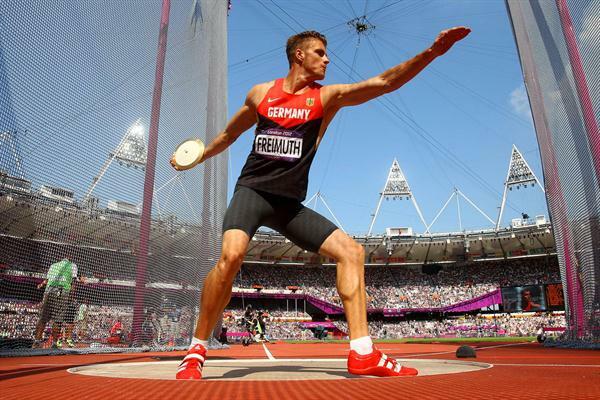 The origins of Functional training lie in Sports Rehab /general Rehab /recovery Training. In a rehab program, Training was done to improve day to day Functional movements like Walking, Turning your body , Pushing , Pulling etc. Typically movements that one performs in their day to day actions. These movements i.e. Running, Jumping, Turning, Twisting , Bending , Lunging etc. 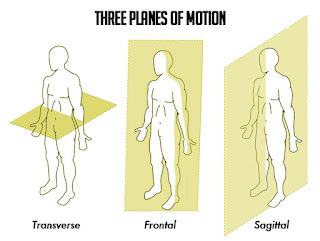 are performed in the 3 planes of the Body movement i.e. 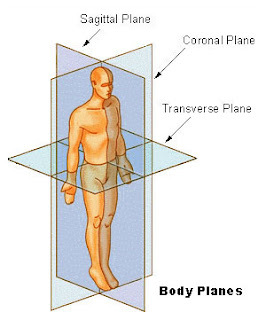 Sagittal ( Plane Dividing the body into left and right) , Coronal/Frontal ( Plane Dividing the body into front & back) and Transverse ( Plane perpendicularly cutting the body). So, outside the Gym, our body performs , all kinds of movements in all the three Planes of Motion. Hence, it only makes sense to train your body in all planes of motion through movements that go across all the three planes, movements that are natural to the body and mimic daily natural movements. Take into consideration , an exercise for working your triceps , that you see a lot of people perform in the gym... The Tricep Kickback. Now, there's nothing wrong with doing this exercise except that it's not required ! I'll tell you why it isn't required. Because it isn't Functional. 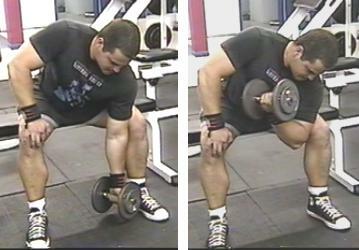 How many times in the real world , outside the gym are you going to be using this movement..? Never! That's because the movement is going beyond the Body's natural average Range of Motion. Now you may say, "What if I want to hand over something to somebody standing behind me?" To that I'd say , you should turn around and hand over . This action is nothing but a front raise...So, if you want to get stronger in handing over things to people, do Front raises instead of Tricep Kickbacks. On a serious note, let's do an apples to apples .. 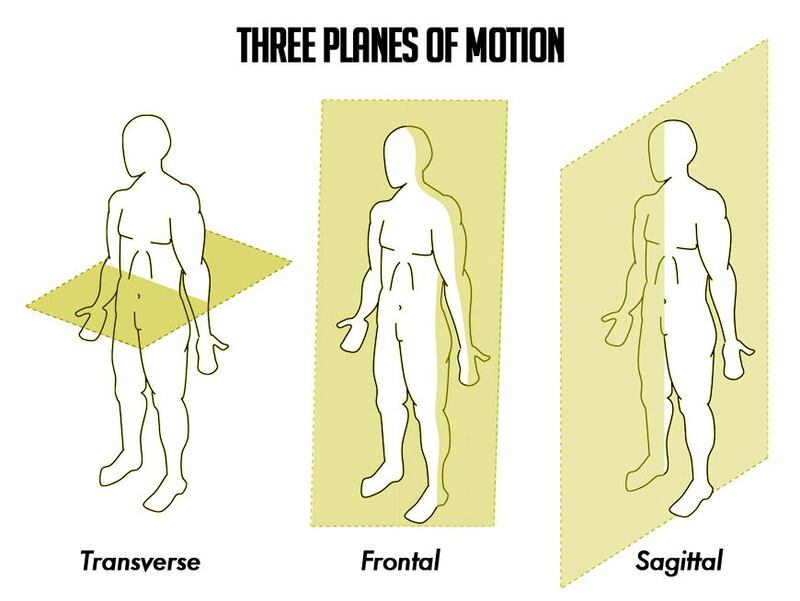 The above movement is very functional and you will see yourself performing this movement every time you sit.. get up.. at times with one hand.. or at times with both . Again, you'll see yourself performing this action frequently, while lying down.. getting out of bed pushing a door ( you're standing, but the movement and action is the same) etc. This too is a very functional exercise. The goal of any fitness program should be to get you Functionally Fitter. Functional Fitness will improve your quality of life and make you stronger & efficient at performing routine tasks. 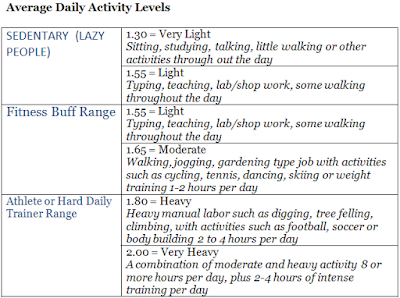 Any functional exercise/movement, will activate maximum number of Muscles to successfully execute a purposeful movement. So find out or invent functional movements to perform and get stronger to work towards your goal of getting stronger for a specific purposeful movement instead of sticking to traditional training.